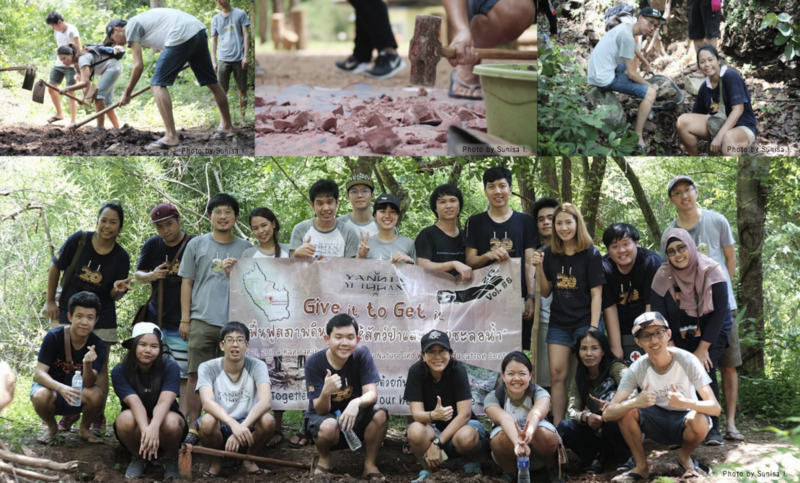 “Building Check Dams & Making Salt Licks In the Jungle” (Give It 2 Get It #8) – Yannix(Thailand)Co.,Ltd. Ms. Somlim Jampangon and Mr. Wasanchai Innak welcomed Yannix volunteers to the Khao Nampu Nature and Wildlife Education Center where the Yannix Team were instructed on how to create artificial salt licks to add more essential mineral supplementation in the area. The Yannix Team also learned a great deal about team work on this day as they worked together to build a check dam. Members of the 3D Tracking Team participated in this event (since they finally managed to have free weekend time) which made this day an unforgettable day. Kob khun krub (Thank You) to Ms. Somlim Jampangon and to Mr. Wasanchai Innak for teaching the Yannix Team and thank you to everyone who attended this event.